Trimming turns molded plastic into real-life products. At Joslyn Manufacturing, products are trimmed to exact specifications. Our five-axis computer numerical controlled (CNC) routers use the latest controllers, keeping us on the cutting edge of technology. Tables on our twin-table CNC routers can be used in tandem, allowing us to cut parts as large as 5' x 10'. We also have eight additional trim presses deliver up to 250 tons of cutting force. Complicated trims are no problem for Joslyn. Send us your CAD files and we’ll use them to generate precise trim paths. Our CNC routers maintain tight tolerances from part to part, over an entire production run, allowing us to achieve higher throughput than with other trimming methods. 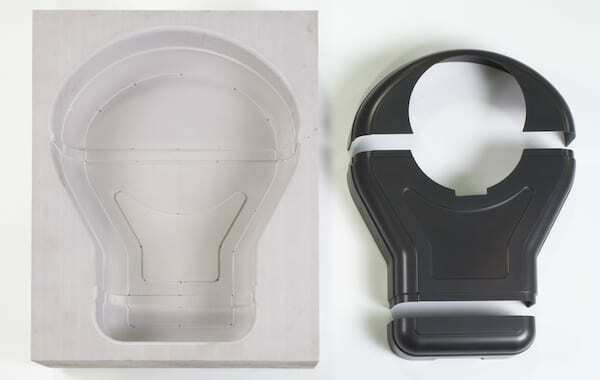 You can rely on trimming operations at Joslyn to produce your thermoformed plastic products to exacting standards.